Weight Watchers founder Jean Nidetch died last week at the age of 91. 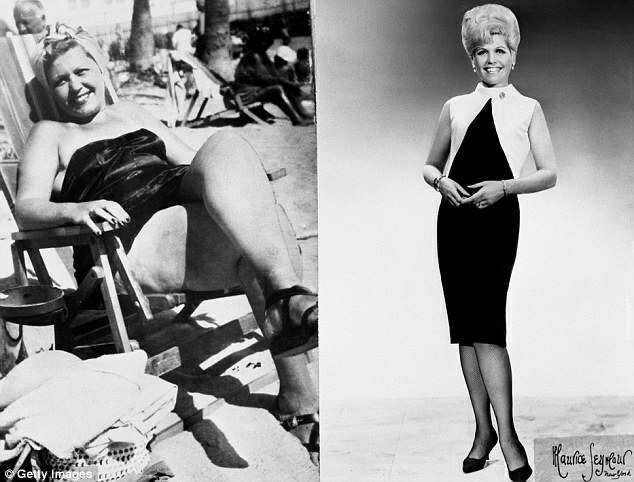 She became famous when she launched Weight Watchers in 1968, after reshaping her 5’7 frame from 214 pounds to a leaner, healthier 142 pounds. Weight Watchers has helped millions of people re-think their attitude towards food, and find comfort, advice, and motivation through weight loss support groups. We’ve gathered the top ten lessons we’ve learned from Weight Watchers, and the late Jean Nidetch. Weight Watchers (WW) weekly meetings and weigh-ins are the most beneficial aspect of the program. If you’re not a member of WW, find your own support network. Join the community at Fit1Bootcamp, members keep each other on track with diet and fitness goals, and the group boot camp workouts provide the motivation you need to achieve your wildest dreams! One of the secrets of Weight Watchers success is the program’s flexibility. Instead of imposing a book of rules on participants, Weight Watchers encourages members to make choices that fit their lifestyle. The program isn’t based on a “diet”, it’s a lifestlyle change that allows members to have a normal lifestyle. Eating out and enjoying treats in moderation can still be part of your life, just shift your mindset to seeing those things as special occasions rather than daily habits. No one loses ten pounds in a week, unless they are starving themselves and dropping water weight unhealthily. Weight Watchers encourages members to break their goals down into digestible pieces. We completely agree! Fit1 Bootcamp’s trainers will show you how to create and follow through with manageable diet and fitness goals, and the community will keep you accountable to your workouts! Weight Watchers asks members to plan their snacks and meals based on their points system. Although we don’t use points, we highly recommend planning your meals and snacks for the week, and making sure you always have healthy food options on hand. Pre-cooking some protein on the weekend, or having veggies sliced and ready to eat in the fridge will make it much easier to choose wisely! It might sound “cheesy”, but positive self talk makes a difference in your motivation and state of mind. If you wouldn’t say it to a friend you love, then don’t say it to yourself! You may not be happy with your body right now, but talking down to yourself won’t help.Weight Watchers meetings aren’t negative events, they are opportunities for members to share their stories and support one another. Take time to support yourself: notice the things you love about yourself, focus on them, remind yourself of your strengths every. single. day. We can’t stress this enough: starving yourself is not an effective or healthy way to lose weight and keep it off. Weight Watchers is so successful because Jean really understood how important it is to feel fed! Keep some nuts in your bag or desk at work, always have healthy food available at home, and make sure you’re drinking enough water. Don’t wait until you’re “feeling motivated” to do make healthy choices, or do a workout. Nike wasn’t lying when they said “just do it”. Weight Watchers meetings keep people on track and accountable, just like Fit1 Bootcamps. Remember that you are disciplined enough to do SO MUCH in your life; be disciplined enough to choose health and vitality. Mistakes happen, occasional overindulgence happens. The most important thing is that you recognize when you’ve made a mistake, forgive yourself, and get back on track as soon as possible. “You don’t need to pop the other three tires on your car just because one tire went flat”. If you’re craving something sweet, don’t deny yourself every time, just eat something healthier that’s a little bit sweet! Try fresh berries, or make a pureed fruit smoothie (mango smoothies taste like ice cream!). Constantly denying your cravings is bound to result in binging or over eating. If you want something salty, perhaps you’re a little low on protein; reach for some lightly salted nuts or a bit of tofu, fish, meat, or eggs. It’s ok to have a real treat sometimes, just remember that moderation is key. The healthiest plants are well watered, they get enough sun, and they live in fresh air! Follow their example and make sure you’re drinking enough water. If you’re thirsty, you’re probably already dehydrated!